Balloon Decor for any event! 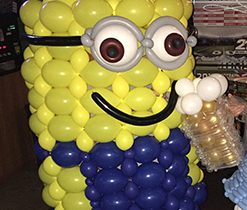 Whether you know exactly what you want or you don’t know where to begin, the Cook’s Balloonery team can help! We offer full service design & decorating for all balloon decor needs. Cook’s has been serving the Central Ohio area for almost 30 years — with new ownership as of 2014, we are focused on bringing you the latest ideas & designs. Fill out an interest form here and we will contact you to get started on your balloon design. If you would like to come in to order, please fill out the form with your event information. In the ‘Additional Details’ section, let us know when you would like to come in!